Shonen magazine is a Japanese weekly manga magazine. 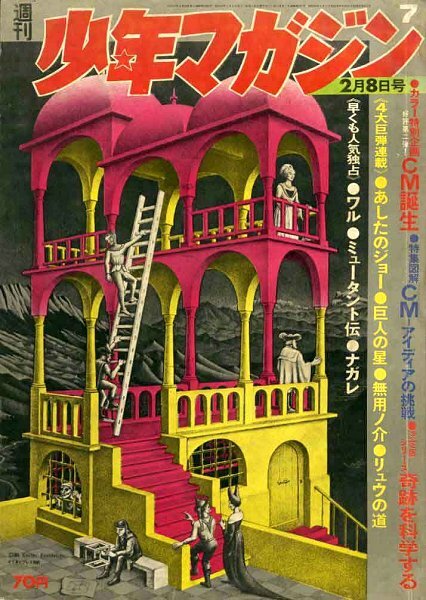 In 1970 one issue of the magazine was decorated by colored Escher's artwork Belvedere. The image was found at http://www.flickr.com/photos/the_moog_image_dump/8056003471/.